Flowmaster has produced their most aggressive race-oriented system for the new 2018 Jeep Wrangler JL with 3.6L engine. 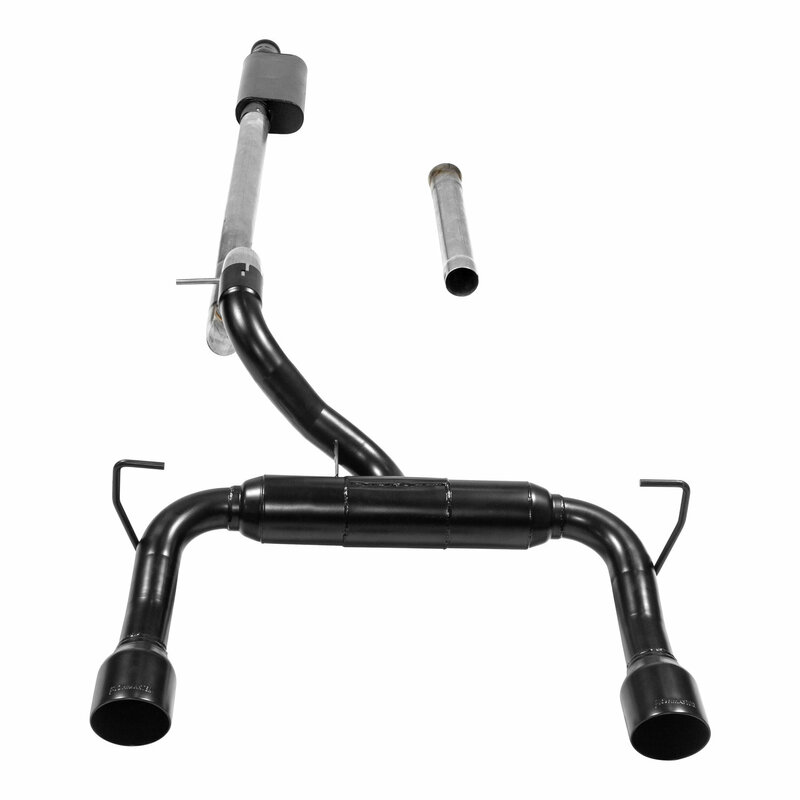 The Outlaw Cat-Back Exhaust features race-inspired components that ensure minimal restriction and moderate sound tone with all of the performance fulfillments that you would benefit from by out fitting your jeep with a Flowmaster. 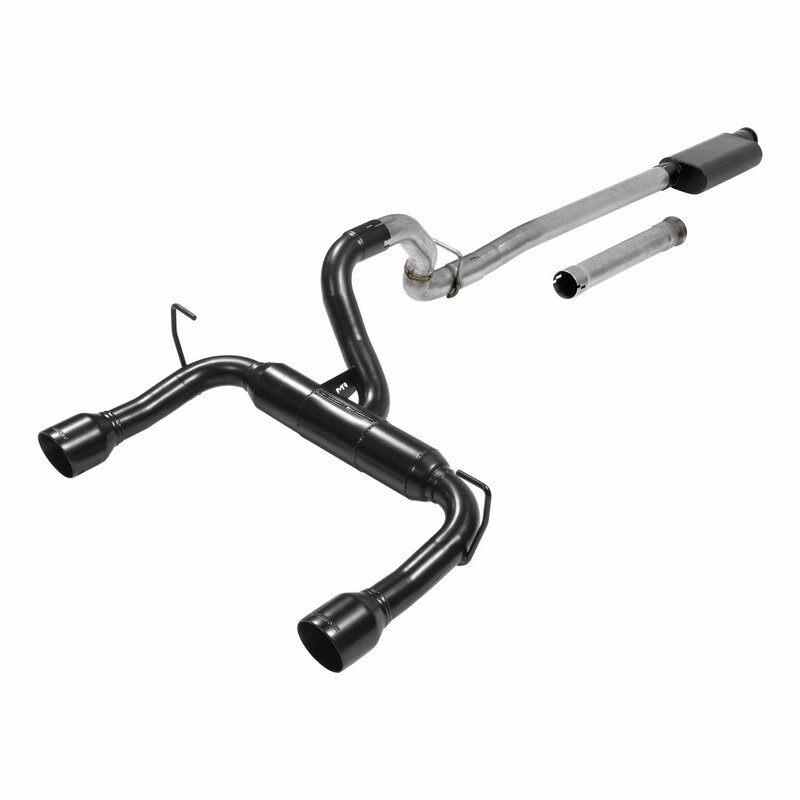 This bolt-on Dual Rear exhaust is emissions-legal and a direct fit for the 2 & 4 door models. The Cat-Back features a specially designed stainless steel Outlaw Series muffler and dual 2.50 inch mandrel bent tailpipes. The system finishes off with 4.00 inch black coated stainless steel tips. The exhaust system is manufactured using 409s Stainless steel which is then Black Ceramic Coated for an subtle but sleek look. 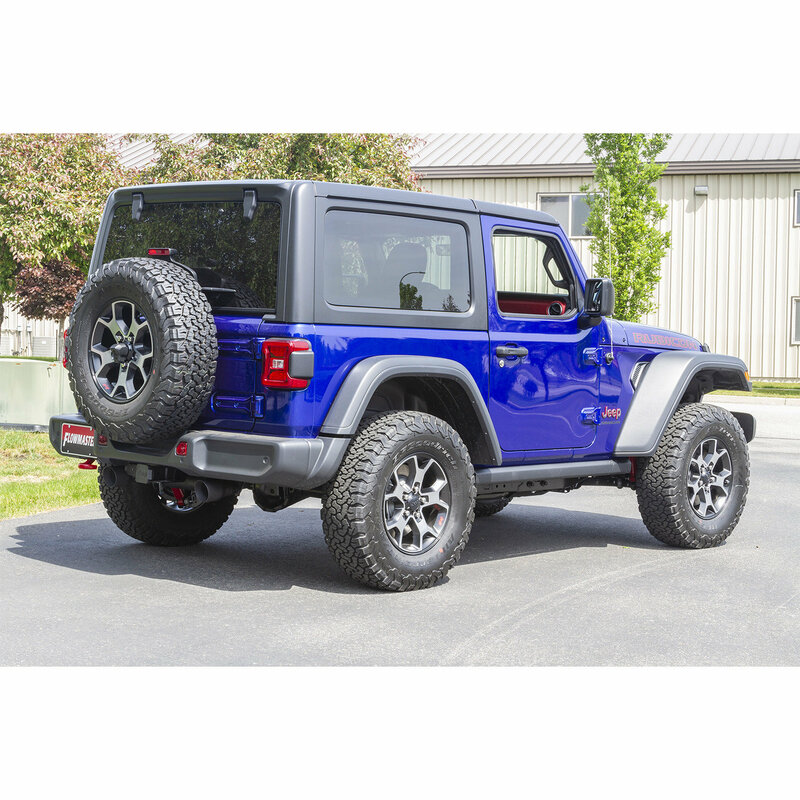 Designed and manufactured in the USA, you will be extremely satisfied with the performance upgrade this system adds to your Jeep Wrangler JL. Black Coated T-409 Stainless Steel: Coated & built to resist high temperature corrosion this exhaust will hold up to nature's most demanding conditions. Rust and grime will be held at bay ensuring your exhaust will withstand the elements keeping your Jeep sounding great and looking good for years to come. 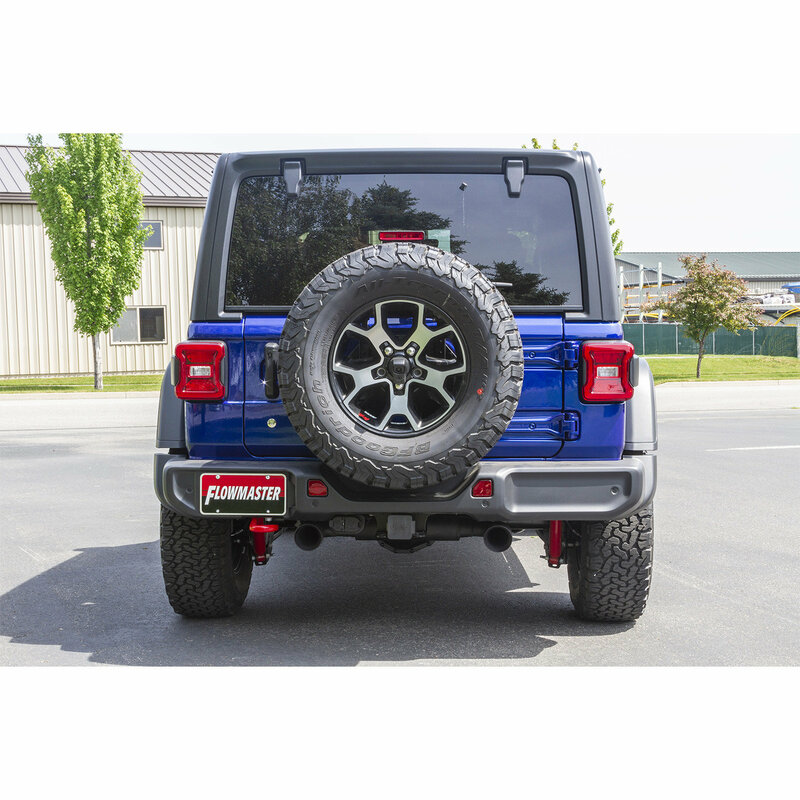 Dual Exit Tailpipes: Equipped with 4.00 inch Black coated stainless steel tips which give your Jeep an aggressive, Race-Bred, clean look to the rear of your vehicle. Sound Level: This system provides a Moderate interior sound level and an Aggressive exterior sound level. Performance: Dyno Tuned For Maximum Performance. Easy Fit: The hassle free design is a direct fit to the OEM hangers & provides you with all the hardware you need to install your new Cat-Back.